The coalescence of Spain as a nation-state, which led to the fall from grace of Spinoza’s forebears, was a direct result of the humanist Renaissance. The first such nation-state was France under Louis XI, followed by the England of Henry VII. The concept of the nation-state, which began to emerge with Dante’s De Monarchia (1312-13) and was more fully elaborated in Nicolaus of Cusa’s On Catholic Concordance(1433), emerged as the most appropriate means by which man could realise his divine potential, as created in the image of God the Creator, for what Dante referred to as ‘intellectual growth’. What was this divine potential of the humanist Renaissance? Dante’s Divine Comedy set out to answer exactly this. There is, says Dante though the mouth of Marco Lombardo in Purgatory XVI, apart of the ‘Mind in you, that the sky does not have control of’. This free component of the mind defines the individual as human. If it ceasesto be active through worldly distractions, the individual assumes a beast-like quality. And ‘if the world today goes awry’, Marco adds, ‘the cause is in yourselves, search for it in yourselves’. The world came into being in an act of spontaneity. There was no pre-determined reason for its creation, which was an act of total freedom. We saw above that Dante likened the spontaneity of this act to a child at play who turns eagerly to what delights it. Because we were born out of this spontaneous action we can go on believing that there is such a freedom for us. In this belief, man is not tied to any pre-determined natural laws. Unlike the rigid Spinozist system, the unexpected can happen. This is not to say that those laws do not exist elsewhere in nature. ‘Everything that is created is part of a mutual order’, said Beatrice in Paradise I. This too is the premise of Dante's cosmos, in which all natures have their bent, their given instincts. Just as a flame always rises when lit, a stone always falls when dropped. This is the natural order. Dante wanted the question to arise in the reader’s mind - are we like that? The answer to the question is, most emphatically, NO. Beatrice explains by expanding upon the theme of creativity with a metaphor from art. ‘Just as form is sometimes inadequate to the artist’s intention, because the material fails to answer, so the creature, that has power, so impelled, to swerve towards some other place, sometimes deserts the track’. In other words, within the description of the order of the cosmos, Beatrice emphasises that human beings are the odd ones out, with the power to deviate from the cosmic order. When Dante attained his paradisal objective in the Divine Comedy, he saw too the image of man in the divine light. The future must emanate from the mind of man, or be blind and directionless, subject to abuse, manipulation, corruption and the market, in short, to evil. In his pilgrimage through Hell, Purgatory and Paradise, to the mind of God, Dante had arrived at man, not the passive and bestial victim of natural law or sirenic distractions, but man governed by an ability to create, with an intention of creating a future worthy of his relationship to the divine. 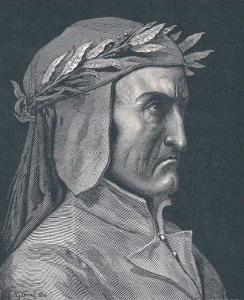 Dante had established the humanist principle of the Renaissance uprising. The seat of the Divine was to be found in the ‘free component of the mind’, the creative centre of the enlightened human. This Promethean principle of Renaissance humanism was the great presupposition to which Spinoza opposed his own i.e. the Substance, the hypostasis, the underlying reality that preceded and was external to man, and to which, according to the Kabbalistic concept of Tikkun, all must return. The Spinozist presupposition was a secularised version of the Jehovianism that had preceded the Renaissance. It was not a coincidence that the pursuit of Tikkun, through a philosophy that More and others had identified as Kabbalistic, served the interests of those whom the Renaissance had caused to fall from grace.